Mangoes are one of the world’s most prized tropical fruits. Indigenous to the Indian subcontinent, they are today cultivated in many tropical and subtropical regions. Their unique flavor and richness in vitamins and minerals make them popular with consumers around the world. However, erratic fruiting habits make mango cultivation challenging: being very seasonal, mango trees bear fruit only one month in a whole year. Sometimes they bear fruit well in one year, but do not bear fruit at all in the next year. To overcome these challenges and make mango cultivation more commercially viable, in the early 1970s Philippine horticulturalist Dr. Ramon Barba set out to develop a chemical solution to induce early flowering in mango plants. Already as a student, Dr. Barba, who holds degrees in plant propagation and horticulture, was very interested in the problems of mango production: “We already had a unique practice in the Philippines of using smoke to bring on flowering. But it was a tedious practice, and expensive. So as students we were all thinking, ‘how can we make the mango flower?’”, he recalls. His research activities at the University of the Philippines Los Baños established that the presence of ethylene in the smoke was responsible for the flowering effect. “But you cannot just use ethylene – it is a gas, you would have to cover the tree”, Dr. Barba points out. So, he started experimenting with other chemicals: “Potassium nitrate was low on the list, but I included it because I know from other studies that there is a link between potassium nitrate and ethylene”, he says. The application of potassium nitrate worked, and Dr. Barba was amazed by the results: “The process was very simple. You just get one kilo of potassium nitrate, put it in 100 liters of water, spray it on the plant once – and within a week you can see the buds forming. In two weeks the buds are already forming into flowers. It was... unprecedented. I have never seen any reaction so spectacular.” Spraying mango trees with the liquid doubles or triples the yield, in addition to making them fruit at different times of the year. In further research, Dr. Barba analyzed whether forcing mango trees beyond normal fruiting had any impact on them and found that they were affected: “After eight years of induction they are 15 percent smaller than those that are not treated. But there was no bad effect, no damage to the mango. Trees that have been sprayed with potassium nitrate for more than 30 years are still producing”, he reports. 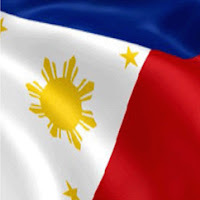 He immediately contacted the Philippine patent office, who confirmed that they had received an application, but that no patent had been granted yet. With the help of a lawyer, he applied for a patent and contested the existing application. “Fortunately because of the records I had, I could show that the invention was mine. So the process went through and the patent office gave me the patent”, he recalls. However, he is well aware of the risk he incurred in not protecting his invention straight away: “If a patent had been granted, then the other person would own my invention. I would not be recognized as the inventor, so would lose the credit scientifically and lose any financial possibility”. During the process, he learnt that patents can do many things: “Patenting both protects your rights and helps you make the benefits of your invention available. Patents give some inspiration because the reward is there, and the recognition. In the Philippines there needs to be more information, more education about it. If we could introduce the subject in school science classes it would be a big step”, he says. The use of potassium nitrate to induce flowering in mango plants has revolutionized the Philippine mango industry: “It has been said that no single plant commodity has benefited as much from a single technology as the mango has from potassium nitrate induction. From 1974, when it was virtually neglected, it has become our number one fruit crop”, reports Dr. Barba. “The effects are felt in all areas related to mango production. Everybody has benefited: the companies selling pest control chemicals, the people who harvest, the people who package, the people who bring the fruit to market, and the people who make baskets for mangoes”, he continues. 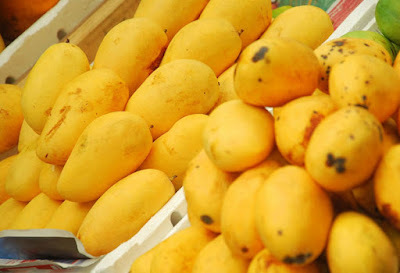 Today, with an annual production of about 900,000 tons, the Philippines are among the top ten mango producers worldwide, making the crop one of the country’s top exports. Dr. Barba’s mango flower induction method is now used in many countries around the world. He has received numerous prestigious awards for his research, including the IBM-DOST Award in 1989, the DA-Khush Achievement Award in 1995, the Crop Science Society of the Philippines Best Paper Award in 1974 and 1981, and the Gamma Sigma Delta Achievement Award in 1995. What he finds most rewarding is the impact of his discovery: “I am very proud of having invented the potassium nitrate technology. As a scientist, I feel that one technology that has a positive impact on agriculture justifies a lifetime of research”. Patenting helped Dr. Barba disseminate his invention: the security that he had all the rights to his discovery enabled him to share his technology with a maximum number of people by choosing not to enforce his patent. His ingenuity has contributed to increasing food security and has benefited a wide range of communities involved with mango growing, in particular in developing countries, where most mangoes are grown.